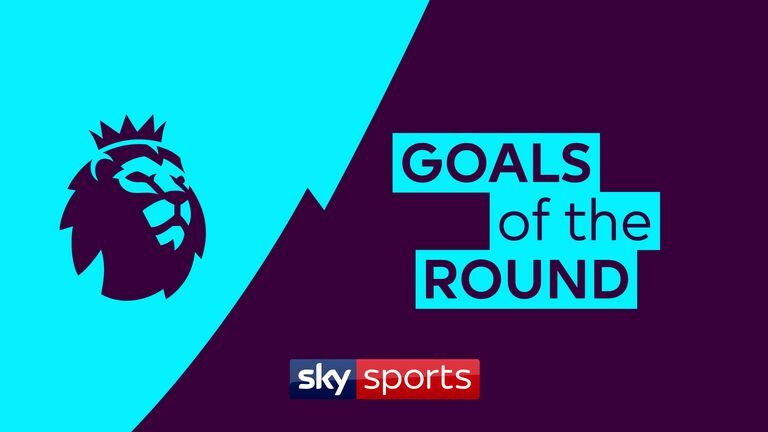 There were plenty of goals in the Premier League over the weekend, and you can vote for your favourite! Alexandre Lacazette produced a sweet finish from 12 yards to rescue a point for Arsenal in an entertaining clash with Liverpool at The Emirates on Saturday. Alex Iwobi played the Frenchman through on goal and after half-rounding Alisson, he turned back to goal to pick out the far corner. Leicester City honoured owner Vichai Srivaddhanaprabha with a victory as they beat Cardiff City 1-0 on an emotion-filled day at the Cardiff City Stadium. Demarai Gray scored the winner in the 55th minute, finishing from Ben Chilwell's cross before taking off his shirt to reveal a top with the words 'For Khun Vichai' written across the front. Callum Wilson's sixth goal of the season wasn't enough for Bournemouth to avoid defeat to Manchester United but it does make the list, as does Seamus Coleman's first goal in almost two years in Everton's 3-1 win against Brighton. From the same game, Richarlison's opener - a marvellous breakaway from a Brighton corner involving Gylif Sigurdsson and Bernard - is included alongside Javier Hernandez's emphatic finish to sealed the points as West Ham beat Burnley. Finally, Andros Townsend clinical finish to find the bottom corner of Kepa Arrizabalaga's goal in Crystal Palace's 3-1 defeat to Chelsea at Stamford Bridge rounds off our list.